You may be single, but you still have a family. 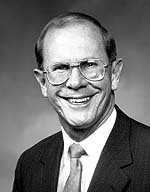 Elder Gene R. Cook of the Seventy, “Home and Family: A Divine Eternal Pattern,” Ensign, May 1984, 31; emphasis in original. More on this topic: See Deena King, “The Proclamation on the Family: For Every One of Us,”Ensign, Dec. 2000, 20–21; Kandy Martin, “Are You a Mommy?”Ensign, July 1999, 28–29; Gene R. Cook, “Home and Family: A Divine Eternal Pattern,”Ensign, May 1984, 30–31.